Water Treatment Solutions by EasyWater are America’s #1 Salt-Free solutions to common water treatment problems like hard water and acidic water. EasyWater products are good for homeowners and good for the planet. 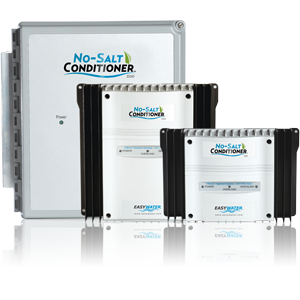 Easy to own and maintain, EasyWater No-Salt Conditioners condition your water without salt and carbon based filters. Your water will retain naturally present minerals that salt based water conditioners strip away. Call us to learn more about how you can improve your home water quality with the innovation of EasyWater water treatment solutions.